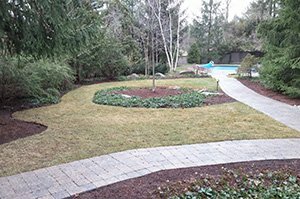 Whatever the season, Pitcher Perfect Groundskeeping Inc. offers lawn care and snow removal in London Ontario and surrounding area, to suit your needs and at a time convenient to you. Starting at just $99 per month*, we have a package to suit every situation for residential, condominium or commercial lawn care. We understand that everyone’s needs are different, so we also offer customized lawn care services so you get exactly what you need, when you need it. Our motto is “In service lies success”. We understand that our success depends on keeping you and your lawn care needs first and foremost and we strive to do this every day, rain, snow or shine. We respect you, your wishes and your property. There are no hidden extra costs and weather permitting, no delays. Our list of lawn and garden care services include everything for your lawn and garden care; including snow removal and ice control services; lawn renovations; general yard work; landscape lighting; storm water management; along with our mini track-loader and earth auger services. At Pitcher Perfect Groundskeeping, we have the equipment and experience to tackle even your most challenging yard maintenance project. But it doesn’t have to be complicated. 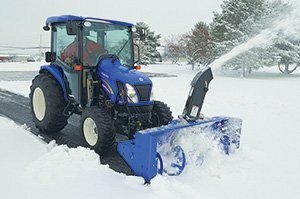 If you’re looking for a reliable company to take care of the lawn or keep your driveway clear when the snow flies, we’d be honoured to have you choose Pitcher Perfect Groundskeeping Inc.
Offering a dedicated crew to clear the snow from your pathways, steps and porches, in a timely manner, for both our residential and business clients. Offering our business clients a time sensitive service, across the city of London, with a dedicated plow and salter truck service. * Please note: All packages are based on the signing of a yearly contract paid over 12 months. Find a lawn care package to suit you!